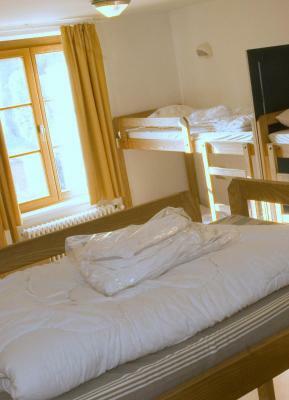 Lock in a great price for Youth Hostel Vianden – rated 8.9 by recent guests! The location is amazing, right under the castle. The guy working there is really friendly, had a lovely chat and felt very welcome. Bathrooms were clean. They even have some books next to the stairs where you can take a book and leave one - I love that part! Staff was very accommodating. I needed to leave early before breakfast. The staff prepared a bag of to-go breakfast for me the night before my departure. I didn't request it so it was a surprise. 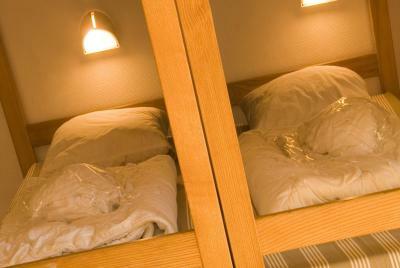 Good sized room, space for table and chairs, comfortable bed, castle view, good shower facilities with extra changing space. Friendly and helpful staff. Decent breakfast. Perfect location. Bring own towel, soap and lock for your locker in the room. The location is unreal! This is probably one of the cleanest, most convenient. The staff were friendly and the place was BEYOND spotless. Nothing like eating breakfast while gazing at the castle. 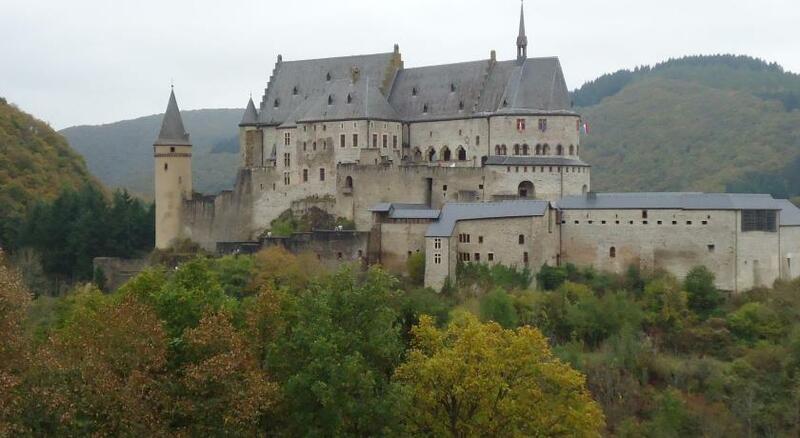 I can't wait for another excuse to visit Vianden! Beds were comfy and there was even a table and chairs in our room! Great view to the castle from the bedroom. There were three of us and we were fortunate that we had the mixed room to ourselves. rooms were large enough to have lockers (bring your own padlock) and table and chairs in the room. Showers hot , all very clean. Breakfast good enough as it is included in the room fee. Highly recommend. Breakfast was decent, location is great right next to Vianden Castle! The place is just below the castle. One can view the castle by the window. A minute or two to the entrance of the castle. There‘s a nice restaurants nearby & down by the river were numerous restaurants & a beautiful scenic view of the castle above. We checked out early & the owner prepared our breakfast as take away. The dorm had a table with chairs, which was very useful and not always available in other hostels. Lockers in the room as well to store your valuables (you'll need to bring your own lock tho, which I hadn't). Breakfast was sufficient. Quiet, nice free breakfast, helpful staff, opposite the castle. 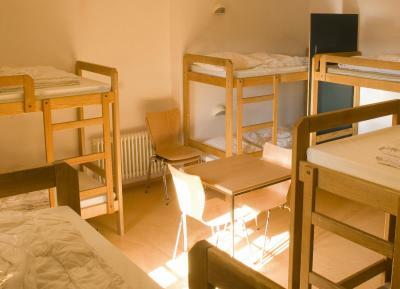 Set in a traditional house, Youth Hostel offers dormitory rooms with shared bathrooms and free Wi-Fi. 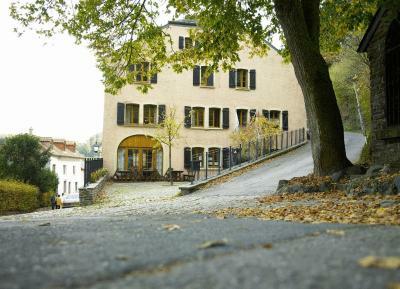 It is located in the village center, less than 650 feet from Vianden Castle. Guests at Youth Hostel Vianden can make use of the computers on the ground floor. Every morning a continental breakfast is served including fruit, coffee and different types of bread with toppings such as jam and cheese. 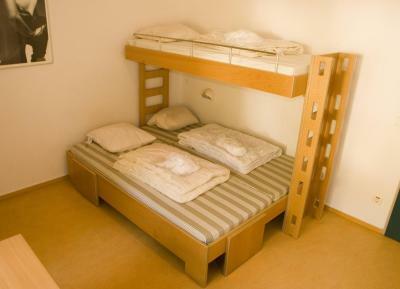 The hostel offers full-board arrangements, with Luxembourgian specialties and vegetarian meals, upon request. 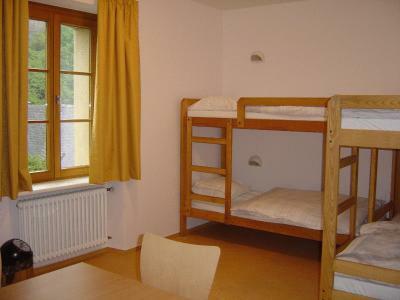 Vianden Youth Hostel is located in the Our Valley which is ideal area for hiking and cycling. Adventure Island in Echternach is 12 mi away. 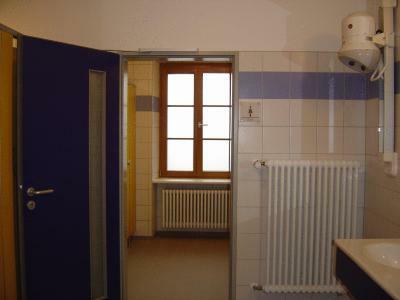 The German border is 5 minutes’ drive from the property. 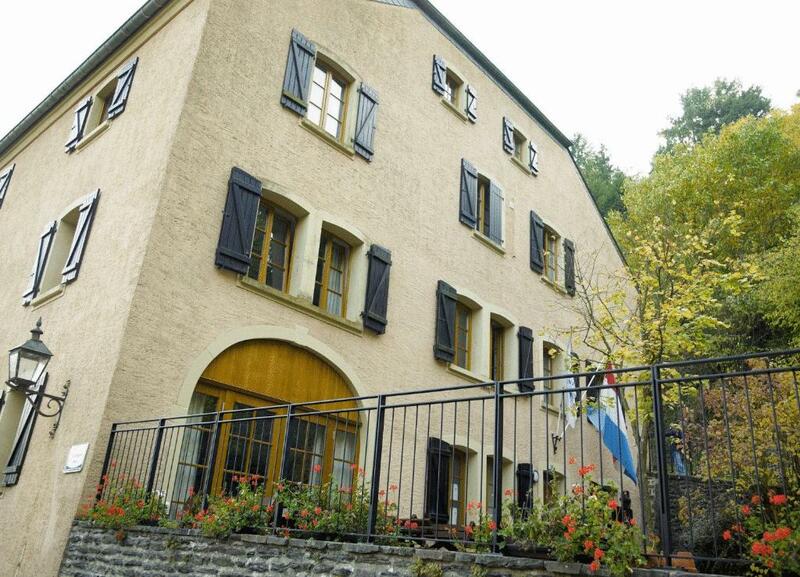 When would you like to stay at Youth Hostel Vianden? House Rules Youth Hostel Vianden takes special requests – add in the next step! Youth Hostel Vianden accepts these cards and reserves the right to temporarily hold an amount prior to arrival. Too many people in one dorm (12 p). More plug sockets. Only two in the room. If you come by car it'll be a bit difficult to find parking. The walls seem to be a bit thin so it was quite noisy and difficult to sleep at night because of other people talking in other rooms. Check in at 5 p.m. was an inconvenience but they let us leave the luggage before time. Be warned, no lift at all if this is an issue. The showers are push button timed, sort of meh but the water pressure and hot water were good. Towels are rental, not free. Beds did not have individual outlets. Also need to bring your own lock (I don’t think Booking told me this on the site). Note if bringing heavy luggage that the hostel is partway up a hill. A little pricey for what it is, but this seems to be the case for most of Luxembourg. The card machine also wasn't working when I went, which meant I had to walk back down the hill into town to withdraw cash to pay the balance, but this wasn't a big issue. Fruit would be nice to have at breakfast. A bit tricky to find at the very top of the village. No Wi-Fi in top floor rooms.